Today, the Eclipse Foundation’s Board Member elections start (to be exact, February 22, 2010 at noon EDT). You should receive an email with voting instructions if you’re eligible. I insist you vote. If you can’t vote, I highly recommend you become an Eclipse Member as it gives the power to vote and influence the future direction of Eclipse. The people that both represent committers and solution members have a unique position to push the board on specific subjects. I recall that last year, the committer representatives pushed extremely hard to have JGit hosted at Eclipse.org (due to it’s unique licensing situation). The first time we brought the issue up we were denied the move. However, through some passionate persistence on the committer representatives end, we pushed forward and were successful with the JGit move. The committer representatives also had a large impact on moving the Eclipse Marketplace forward. Although it’s not the appstore some of us envisioned yet, it’s definitely a step in the right direction. As for who you should vote for, I can simply say I vote for the people who are passionate and are committed (see Ed’s post) to the success of Eclipse. As always, I would be honored to be given the chance to represent the committers again on the board. I believe we have a great thing going on at Eclipse in respect to technology and open source project governance. I can only guarantee that I will continue to be passionate, do my best to attract/mentor new projects and improve the processes within the Eclipse community. 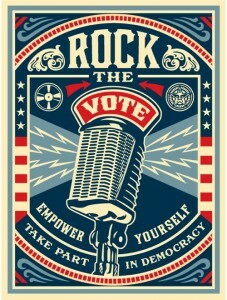 So what are you waiting for, rock the vote this afternoon.